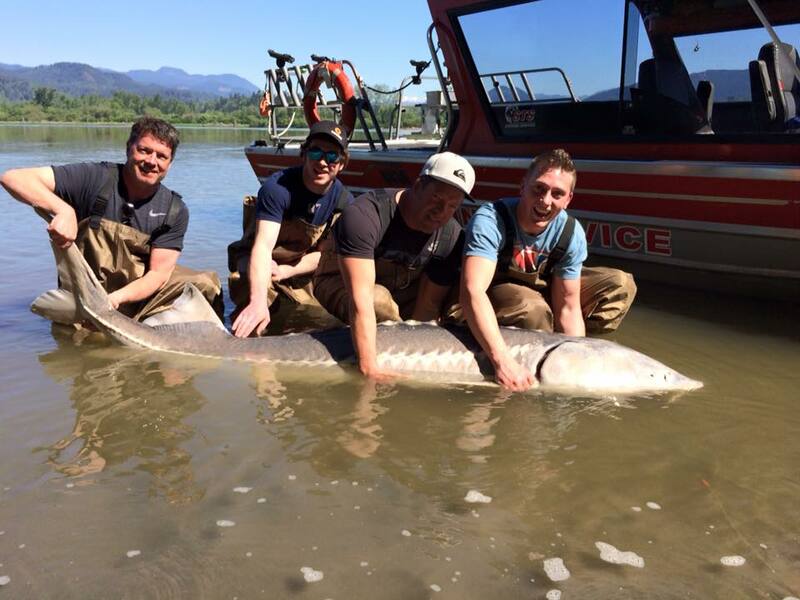 Sturgeon fishing has been excellent all week and should continue into the weekend. Weather is changing a bit and the warm weather this week might bring down some debris and higher water conditions. Lamprey, salmon roe and Eulachon have all been working, Freds Tackle in Abbotsford sells bait if you are looking for good bait, incase you haven’t heard the Freds Custom Tackle in Chilliwack is closed down but Abbotsford Store is open 8am 7 days a week. I was out for a few hours this week doing some scouting for the weekend, I don’t fish much in the lower river these days so it was nice to get out with a few friends and enjoy this great weather. 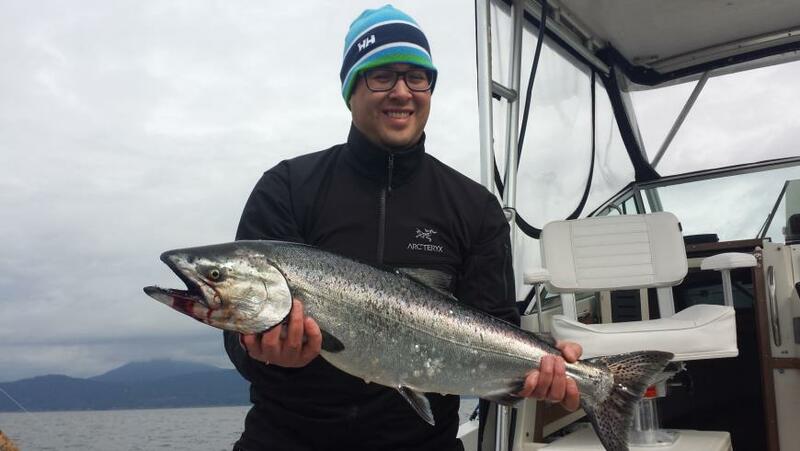 We are now booking our Fall Season for both salmon and sturgeon, this is a great time to book as our guides are now starting to get booked up by their regular clients. We have some great day rates and packages for out of town guests, drop us an e-mail. We have been fishing all over the place recently and finding fish in a variety of locations depending on the day. The South End of Bowen Island and Vancouver Harbour have been where we have spending most of our time. Most days we are seeing consistent results with enough action to keep our guests well entertained. As per usual in late April a lot of the chinook salmon are out in the deep water. 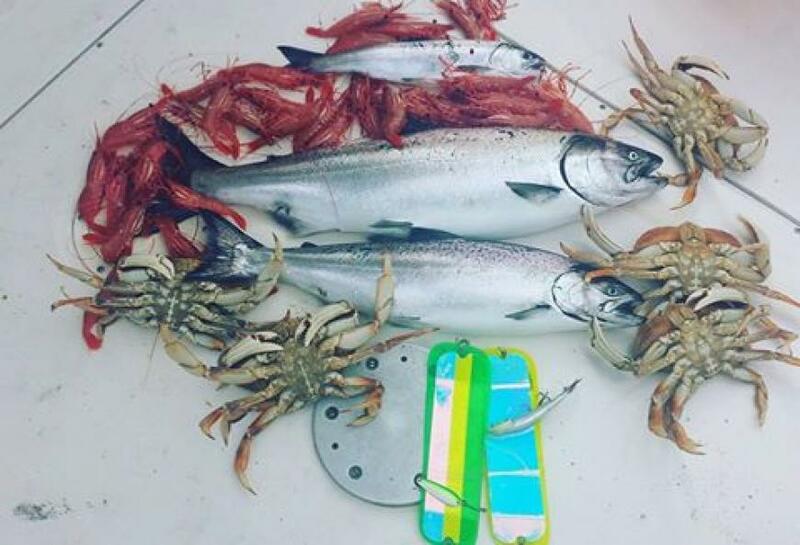 In particular areas like the QA Marker, The Hump, Cape Roger Curtis, Cowan Point and the outer reaches of Vancouver Harbour are proving to be some of the more consistent producers over the last week. 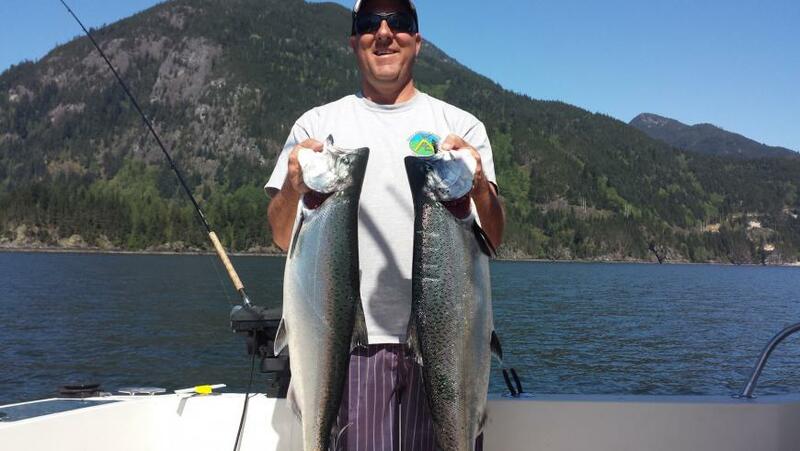 Howe Sound has also had some very good days and the fish we have been getting up there are being caught pretty close to bottom like in the winter months. We have been running a good mix of bait and spoons over the last couple weeks. Our best producing spoons have been the Outfitter and Bon Chovy Skinny G’s. We have been running mostly green/chartreuse glow type Rhys Davis teaser heads. The STS, Bon Chovy, and Lemon Lime Guide Series Flashers have been treating us well as always. 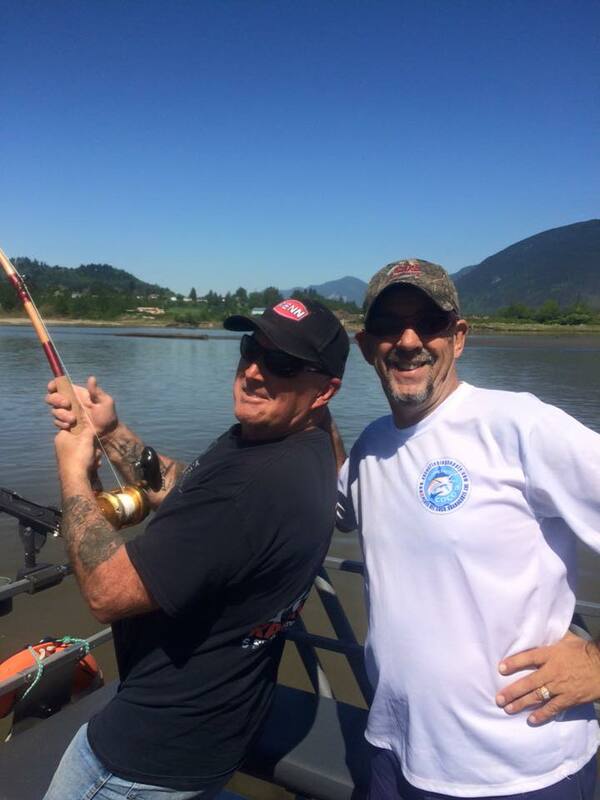 Our Pitt River Fly Fishing trips will begin in late May, this fishery offers some great fly fishing with some amazing scenery, we are now booking for June and July Pitt River trips so if you are looking for a great trip, this is the one that should be on the bucket list. 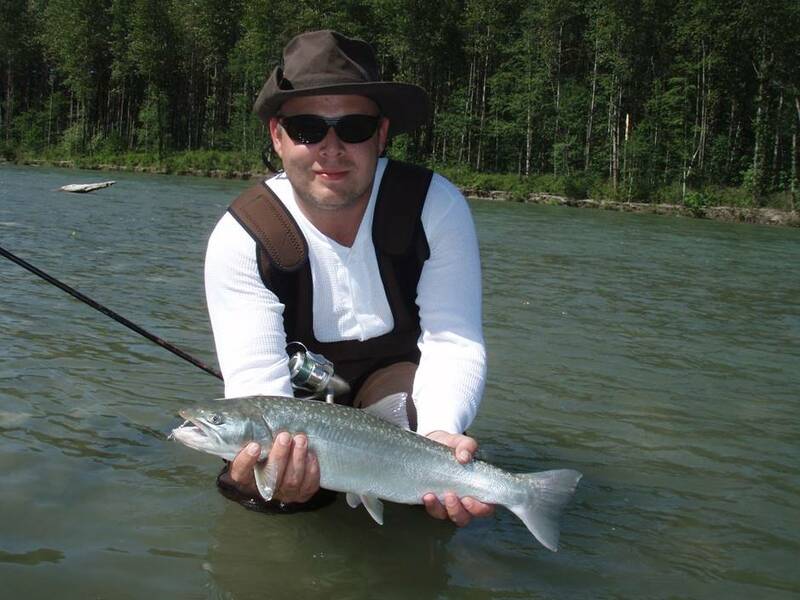 We offer fly fishing for sea run Bull Trout and Salmon as well as light spin tackle for non-fly fishers. Celebrating 22 years of providing quality fishing charters 1994-2016.